Dobry vecher! Guten Abend! Comrades, be upstanding for Kaaaaarel Gotttttt!!!!! 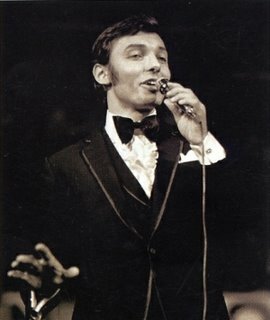 To some he's a geriatric crooner who won't retire, but to others he's a heartthrob with a voice of gold.In the 1960s and 70s, Gott was the undisputed pop prince of Mitteleuropa and he's now a Czech institution. If you've never heard of the Gottmeister, here are a few things you should know about him. Whilst the West was going crazy for Elvis and the Beatles, the entire Eastern Bloc, it seems, was listening to the 'Golden Voice of Prague', Karel Gott. During the Cold War, there wasn't a household between Magdeburg and Vladivostok, which didn't (have to) own at least one of Karel's discs. Dubbed the 'Slavic Sinatra' and 'Elvis of the Moldau', Gott's early oeuvre consisted of upbeat Czech rock 'n' roll, be-bop, smoochy ballads, and covers of Western pop hits. What distinguished Gott from his Western counterparts was his distinctive tenor wail, which he developed whilst an opera student. 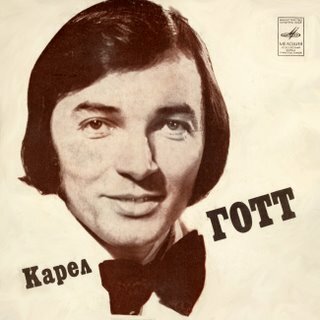 Gott's vocal skills are best demonstrated in his stirring interpretations of Soviet standards, which make the Red Army Choir's output sound positively half-hearted. His renditions of 'Kalinka' and 'Vltava,' are fantastically evocative, and listening to them, you can almost imagine yourself in Moscow circa 1972, heading down the Leninski Prospect in a Lada, discussing the latest 5-year plan with your pals Dmitri and Alexei. 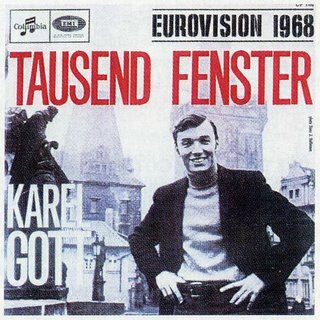 As the Eastern Bloc's premier pop sensation, Gott was so valuable to the Czechoslovakian regime (He once joked that his record sales exceeded his country's annual GDP), that in the early 1960s, when he left to live in West Germany, Communist party secretary Gustav Husak sent him a grovelling letter begging him to return. Some years later, in 1985, Gott was finally rewarded for his loyalty by being made Czechoslovakia's 'National Artist,' thus becoming state property. 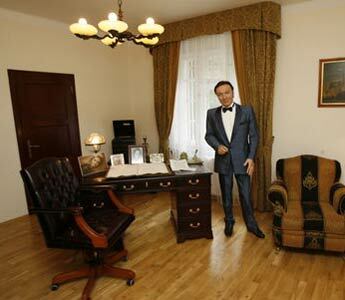 The pop prince of Prague enjoyed privileges unknown to most CSSR citizens. He was allowed to tour the world, earning heaps of hard currency and a big female following wherever he went. His heart-on-sleeve songs did particularly well in continental Europe, where Schmalz only means cooking fat. 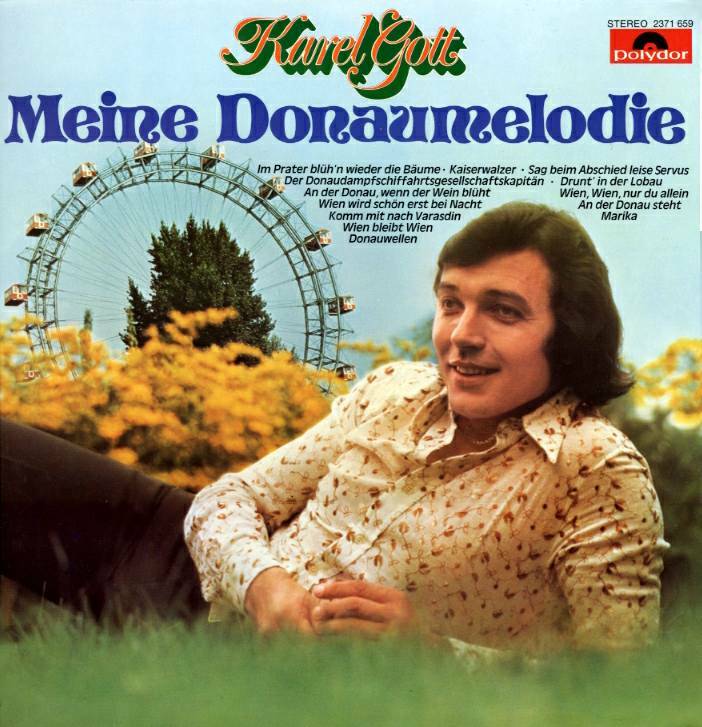 Gott was especially popular in that Mecca of taste, West Germany, where he contributed significantly to the repairing of post-war Czech-German relations by getting the Deutsche Hausfrauen mighty hot unter der collar. Bah! 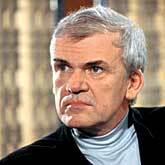 If it had been up to Kundera, Gott would have been singing atonal masses whilst burning pages from 'Das Kapital'. 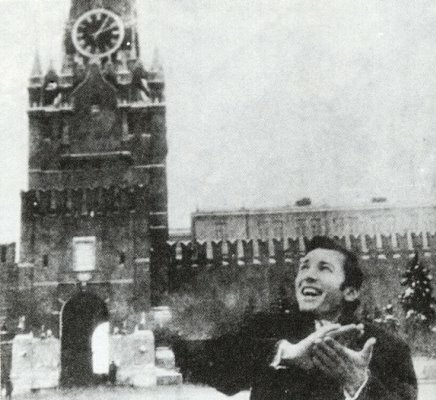 But who would have serenaded the citizens of the Soviet Bloc with jolly cover versions of 'Delilah' and 'Love Me Tender'? Eh? Karel did really badly in the Eurovision song contest, and that deserves respect. 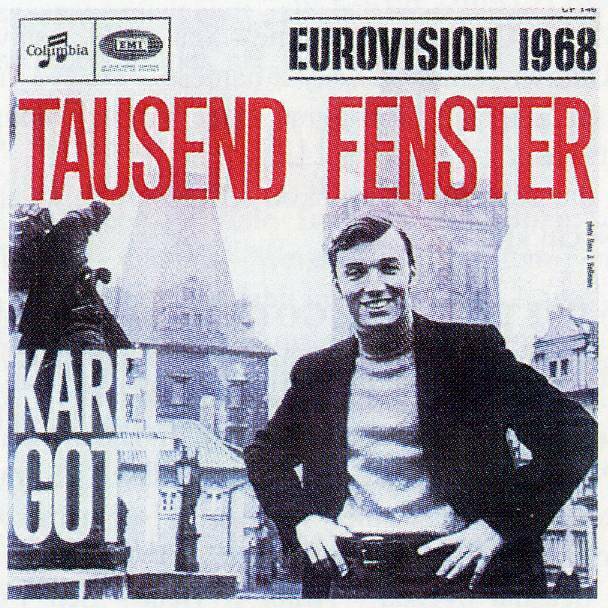 In 1968's Grand Prix, Gott represented Austria with the woeful 'Tausend Fenster.' He was awarded nil points by everyone except Spain, whose judges generously gave him 2, possibly because he'd also entered a Spanish song. But then again, this was the year in which Cliff Richard's dreadful 'Congratulations' came second in the contest. 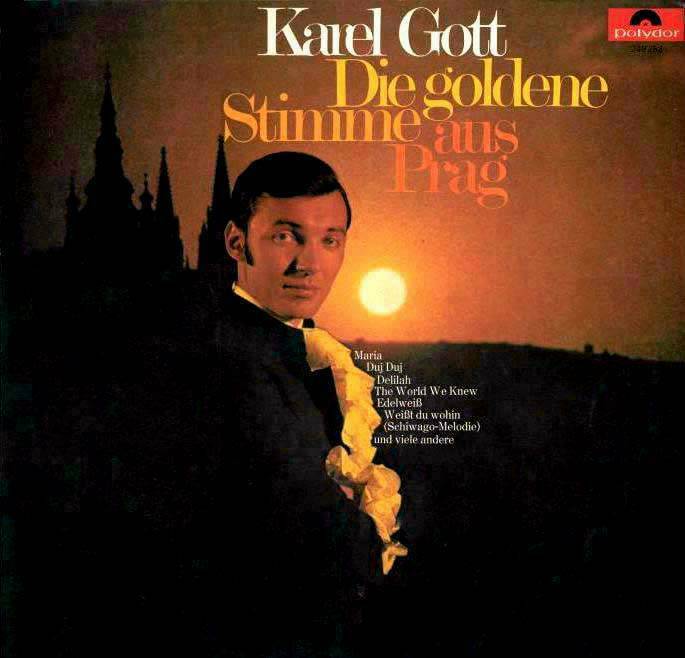 Gott, who is sickeningly multilingual, has recorded songs in English, German, Italian, Russian, French, Spanish, Hungarian, Hebrew, Roma, Croatian, and Polish. He could actually have held his own one-man Eurovision song contest, pitting his own songs against each other. HE OPENED A MUSEUM TO HIMSELF! 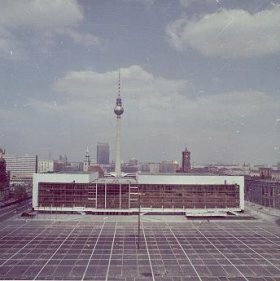 In April 1976, Gott performed at the opening celebrations of the now-extinct East German parliament building and fun palace, the Palast der Republik. During the concert, Gott brushed bri-nylon with imperialist singers such as Juliette Greco, and commie fave, Tony Christie. 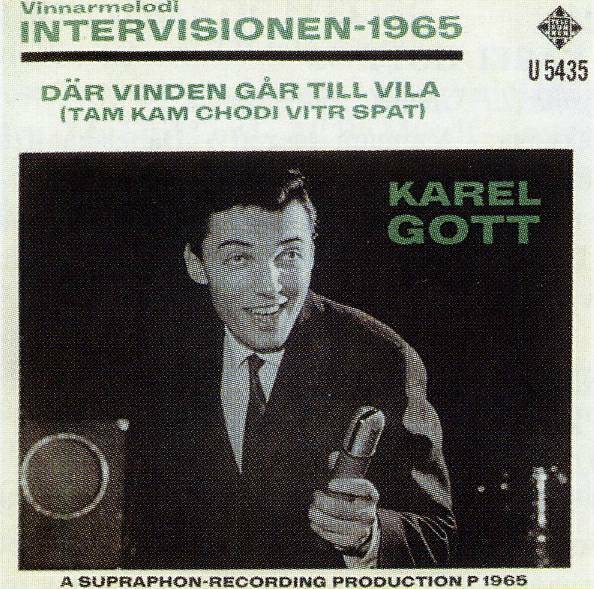 It was also kitted out with interpreter headsets for the audience, handy, had Karel slipped into one of his 6 trillion other languages. 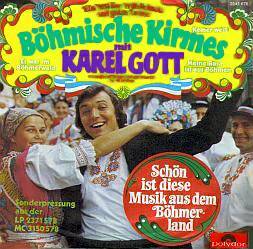 Gott was a was a hot ticket in the GDR, whose cultural officials carefully ensured that most decent pop acts were prevented from entering the country. In 1987, when Gott performed during the 750th anniversary of Berlin celebrations, there were so many flowers thrown on stage, he had to stop his act so that three people could come up and clear them off. Top that, Justin Bieber! 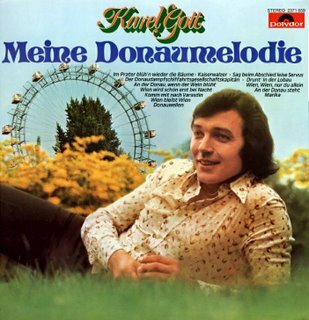 Gott's album covers have more retro-hip potential than Prague's entire transport system. 1. Trezor. Enthusiastic, manic Czech rock 'n' roll at it's best. Check out the yodelling bits! 2. All the Russki tunes. 3. Tam, Kad Chodi Vtra spat. Ahhhh- aaaahhhhhhh-eeiiiiie! 4. Lady Carnival. 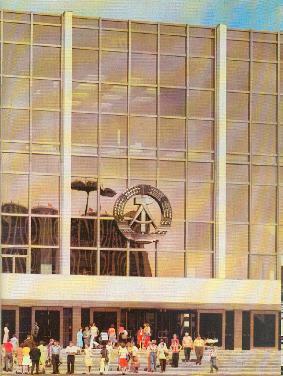 A Tom Jones-esque mega-hitovi in the 1970s. Greeeat blog Maisie! I am waiting for a post on Baja Mali Knindza...and though that may prove conflictual - and we don't want your blog to be invaded by right-wing radicals - Baja is actually an illuminating example of folk-machoist-patriotic muzika in 90's Jugoslavija...I confess I adore his music and he's the king of the My Music folder...Svaka cast Maisie! What the hell do they think pop music does in the West? Without such opiates as pop music and sport, there'd be a revolution in Australia.